It was our 12th monthsary and our 1st anniversary together. And it came 1 month after a heartbreaking trip to Seoul in December 2015. Although it caused me quite a blow and disappointment, I decided to pick myself up because I believed our love was still strong enough to encourage me to keep holding on and move on with my life. 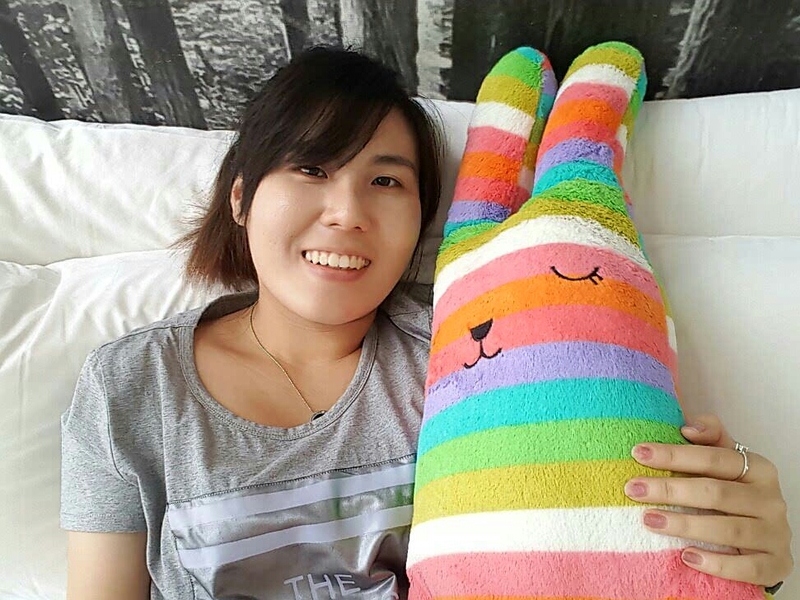 January 2016 also marked the first month in which I started a series of drawings about me and Bobo (my favourite rainbow bunny soft toy). I had the inspiration during my grad trip to Seoul-Okinawa-Tokyo. My idea was to use Bobo as a mascot or a substitute for Taeyeon in my drawings. If in reality it wasn’t possible to have the both of us physically together, I could make it possible through the fantasy of art. In the world of art, there is no right and wrong. No one is there to judge. I could even have the liberty to add a tinge of cuteness to our love. Why a rainbow rose? I found out online that a rainbow rose is known for being a happy rose too. It says “Rainbow roses meaning is to bring happy and joy into your life relation, extra special flower gift for special moment, precious gift for precious person.” I made this drawing filled with positivity for my future and our future. I was about to start a new chapter in my life working as a professional. All I hoped for, at that time, was our relationship to continue to blossom even after a storm or rain, no matter what difficulties the future might bring. My rainbow rose ended up making its appearance in one of the teaser images for Taeyeon’s “Fine” too!